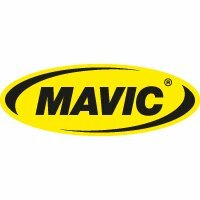 Mavic's most affordable sub-1,500g wheelset with best in class Exalith braking compound makes it perfect for endurance road bikes. Mavic's lightweight ISM 4D Maxtal rim offers improved aerodynamics. Isopluse lacing rear - the spokes are laced radially on the drive side and 2-cross on the non drive side to maximise drive side dish, thus providing a better spoke tension balance between left and right flanges. The wheelset weighs just 1,475g (front and rear wheels weighed without tyres, tubes, rim tapes and QR) to make climbing easier and/or quicker.